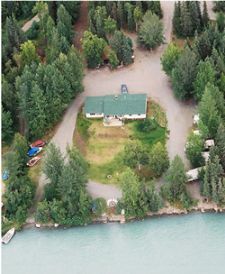 Kenai Riverfront Resort | The Alaska Dream | Lodging, Fishing & RV Park on Alaska's Kenai River, Soldotna, Alaska - Help Plan My Alaska Trip! We can help you plan your Alaska Dream Trip! From how to get here, what to bring, where to fish, and what to do with your fresh caught fish, the Kenai Riverfront Resort family can help make sure your trip is well planned, stress-free, and successful in every way that matters to you! Follow the links below to help you through some of the planning process for your Alaska trip. Contact us with ideas, questions or to just brainstorm as you get close to making those plans a reality so we can help guide you with local information, logistics, and timing for your trip. While the information is primarily geared toward serving our guests, all visitors to the Kenai Peninsula can benefit from this information.